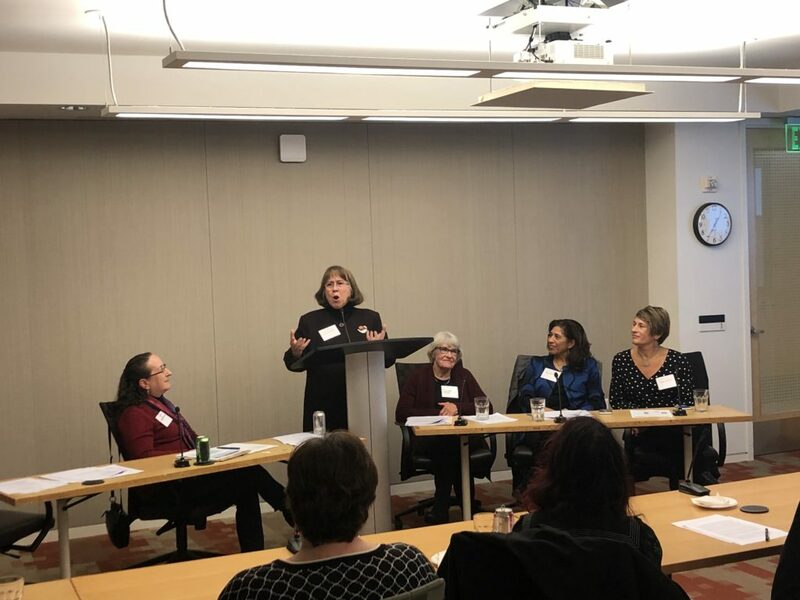 On February 28, 2019, International Action Network for Gender Equity & Law (IANGEL) and the Women’s Intercultural Network (WIN) presented an informative panel discussion on the the year of public services for gender equality, in preparation for attendance at the upcoming 63rd Session of the United Nations Commission on the Status of Women (CSW) in New York City. 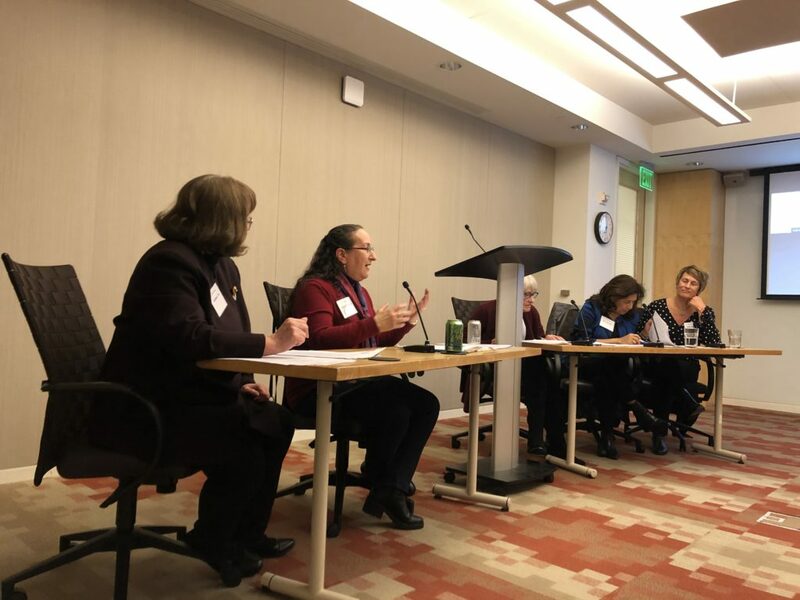 Moderated by WIN’s Kathleen Cha, the panelists included diverse and interesting perspectives of veterans of past CSW meetings, Elmy Bermejo, Jane Bernard Powers, Robin Endres, and IANGEL’s Nancy J. Newman. Ms. Cha provided an excellent overview of the CSW meeting, including the roles of the governmental delegates, Agreed Conclusions, NGO parallel events, and the many opportunities to absorb information, learn, network, and contribute to the discussions on key gender equality issues pertinent to the year’s theme. This year, the CSW’s priority theme is “Social protection systems, access to public services and sustainable infrastructure for gender equality and the empowerment of women and girls,” and the review theme is ‘Women’s empowerment and the link to sustainable development.” Ms. Newman noted that IANGEL’s CSW panel on March 13 will cover both themes, as the pro bono partnerships that IANGEL facilitates play a critical role in providing access to justice, and such access is a key link to sustainable development. 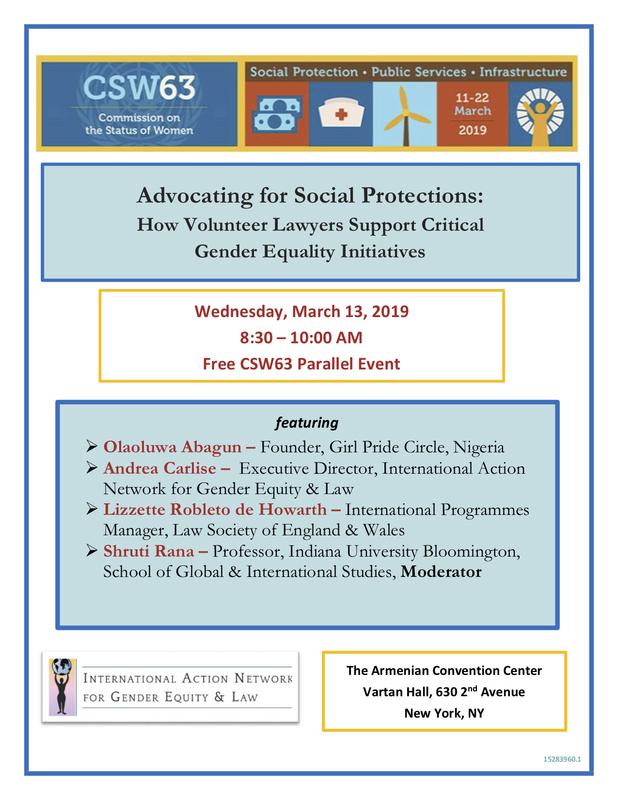 All panelists shared valuable tips and insights about attending the CSW, from reading the materials in advance, to wearing comfortable shoes, to making notes each day to recap what was learned, and to note the valuable connections made in the global network of civil society activists. In addition to the keen insights and information shared to prepare for the CSW, both IANGEL and WIN shared a variety of printed materials to enhance the experience. 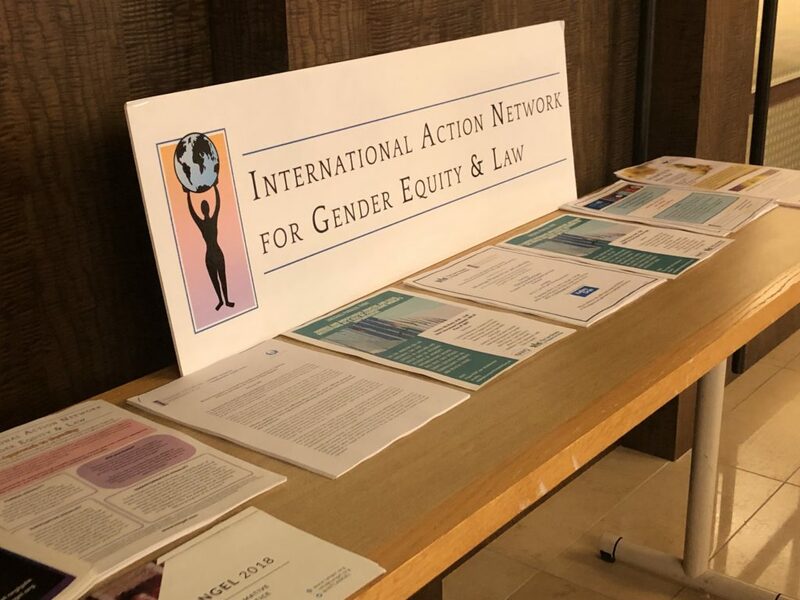 These included guides to CSW, flyers for the events hosted by IANGEL and WIN, and IANGEL’s handy summary of the principles of equality under the UN Convention to End all forms of Discrimination Against Women (CEDAW). The panel discussion was followed by a lively networking session, as more contacts and preparations were made for successful engagement at CSW63. IANGEL and WIN warmly thank Hanson Bridgett LLP for generously hosting this event. Copyright © 2019 International Action Network for Gender Equity & Law. Powered by WordPress. Theme: Spacious by ThemeGrill.